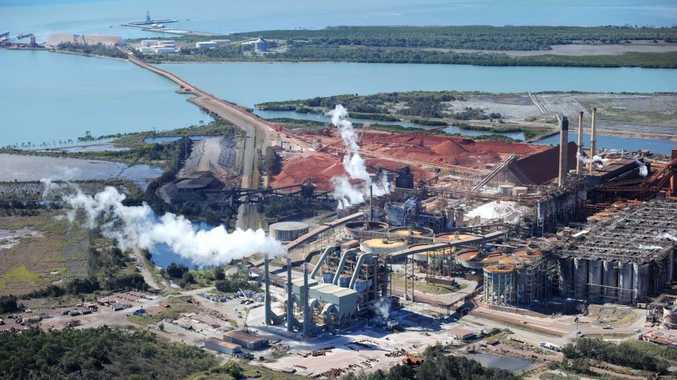 BREAKING NEWS: Rumours that jobs will be lost at Gladstone's Queensland Alumina Limited refinery have been confirmed, with the company announcing plans to restructure its operations to ensure the refinery can compete successfully in all market conditions. QAL chairman Armando Torres said the aluminium sector in Australia was facing extremely difficult market conditions due to a high exchange rate, higher costs of production, low metal process and new taxes. "The organisational restructure is a necessary step in the process of protecting QAL's long term viability and ensuring the refinery is stable and profitable under all market conditions." The restructure will involve a reduction in the number of support roles across the site. No front line roles will be made redundant. QAL has today begun consultation with employees about the organisational changes. This process will continue over the coming weeks, the company said. "This is a challenging time for QAL. We will work hard to protect jobs wherever possible and we are committed to ensuring that all affected employees are treated fairly, with respect and are provided the appropriate support," Mr Torres said. "The refinery will work to redeploy employees to vacant roles within QAL, and also support employees to explore opportunities with major industries in Gladstone currently experiencing skills shortages. "Safety of our employees, contractors, the environment and the community remains our number one priority." QAL was unable to indicate how many jobs would be lost in the restructure. An announcement about the numbers is expected in late October. Just a few kilometres away, Boyne Smelters Limited recently announced 90 jobs would be gradually cut. BSL purchases a significant amount of alumina from QAL.